Kitchens are a fundamental part of home interior design. Not only are they a place to prepare meals, but they are also places to gather family and friends together. 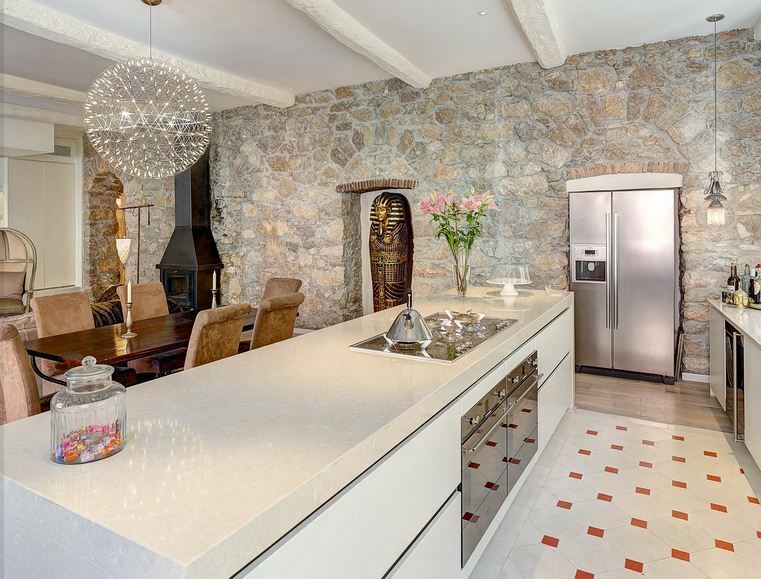 Kitchens are utilitarian spaces used for everything from cooking sumptuous dinners to providing venues to catch up on gossip while having a cup of tea with friends. Their design reflects the homeowner’s taste and lifestyle and creates an ambience that fits that of the whole property. The construction and style of the kitchen plays an important part in determining a home’s resale value and should not be overlooked. 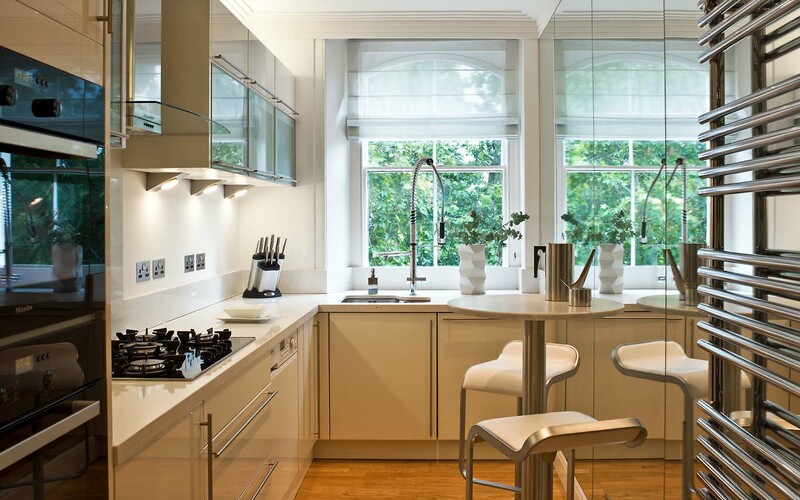 As experienced Central London and Hyde Park interior designers, Callender Howorth has a lot of experience designing kitchens. We’ve selected some of our favourite styles and designs. Modular kitchens are an off-the-shelf solution for many homes. Sometimes known as semi-custom kitchens, a modular design enables an architect or homeowner to piece together their own plan. Modular kitchen designs are perfect for optimising storage space by using diversified materials to create an easily adjustable package. Although the units are prefabricated, they can be of a very high standard and incorporate durable materials such as stainless steel, cherry wood, oak and marble. Every aspect of the kitchen, from the height of the countertops to the inclusion of islands is customisable. Individual components can be replaced if necessary while leaving the rest of your kitchen intact. 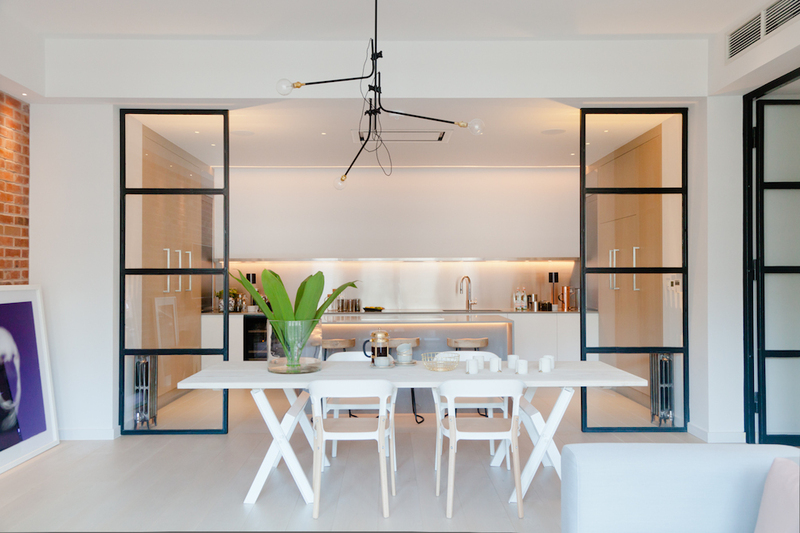 Our Hyde Park designers filled a client’s Knightsbridge Penthouse kitchen with space-saving storage to maximise the limited space in this chic city apartment. Farmhouse style kitchens offer a bucolic atmosphere and warm ambience. Using heavy woods such as oak give the kitchens an old-world appeal, and can be combined with trendy appliances to keep the kitchen in the modern age. Alternatively, you can install an Aga stove and place a pile of logs in a corner for a cottage effect. Rustic touches such as beams or old-fashioned tiles really add to the rural vibe, while furniture or chandeliers with wrought iron components, woven baskets and a gingham tablecloth can make all the difference. Our Nice Apartment project has a modern white kitchen but its open layout, original stone wall and ceiling beams give it a semi-rustic feel. Modern kitchens give a glossy feel with symmetrical lines and minimal clutter. From ergonomic islands to hidden storage, modern kitchen designs are cutting edge, yet inviting. 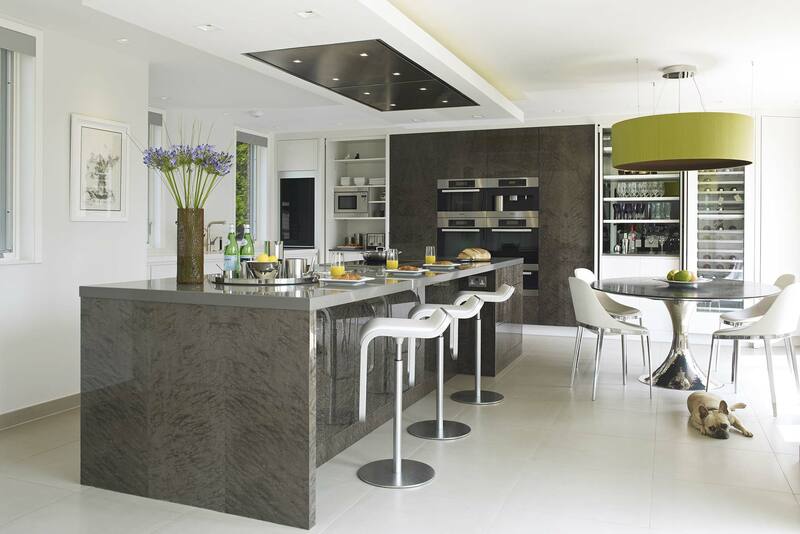 Our Essex Mansion project involved the design of a stunning contemporary kitchen that fitted the client’s brief of having a modern space, perfect for entertaining. The result was a beautiful kitchen with floor-to-ceiling closed storage, multiple wall ovens and an island with futuristic breakfast bar stools. We used a neutral palette of white and charcoal with a splash of green and marble, stone and solid wood materials. White doesn’t mean boring! White kitchens are pure and clean and their appearance can easily be adapted with bright kitchen towels, colourful appliances, a patterned fruit bowl, or any other accessory you choose. White kitchens are best when they are kept simple, otherwise they can start to look a bit too “busy” or cheap. Integrated appliances create a seamless look, and natural lighting completes the picture. Callender Howorth created an all-white kitchen for our City Penthouse project in Shoreditch. The owner was interested in New York loft style apartment and we contrasted the exposed brickwork of the main living space with a dazzling white kitchen. We added full-length light beige coloured cupboards and stools to create contrast with the white countertop and cupboards taking up the kitchen’s main wall and the small, low island. If you are interested in Callender Howorth designing the kitchen of your dreams, please contact us.